How is your day? anyway no matter it is good or bad, you still have tomorrow, a better day. So keep hoping and don't give up to live your life. How was holiday? Hope you have managed to spend quality time with ones closest to you. To me, in my opinion, beauty is something that comes from inside. If you have a good heart and a great personality then your bound to look beautiful on the outside and I believe there is truly no simple straight forward answer to this, right? because everyone is beautiful in their own way. Do you wish to be as beautiful as the movie star? well, guess what? to be beautiful you don't need to be blond, with blue eyes or have a super model's body, it all comes from inside when you are really confident with yourself and believe that you are beautiful. When you skin beautiful, you'll feel beautiful.
" Beauty is how you feel inside, and it reflects in your eyes. it is not something physical." How to confident in your beauty? Want to look beautiful and natural without using any chemical for your skin? 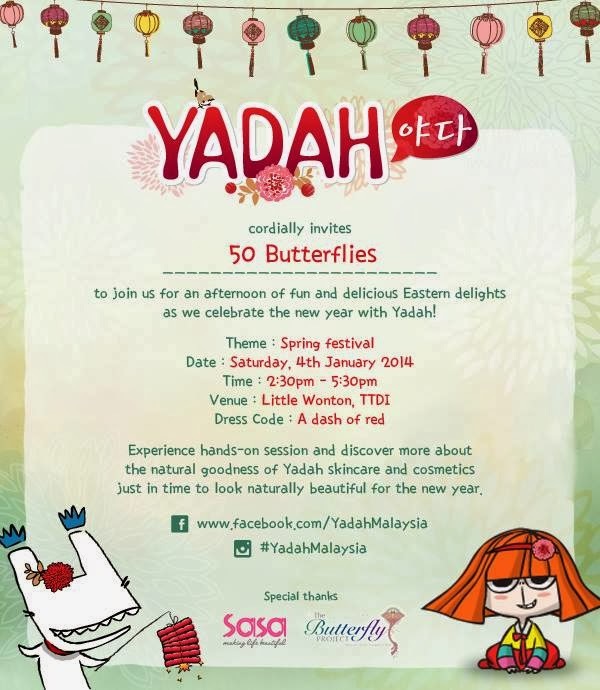 I guess that most of you will be very familiar with this brand named YADAH. right? Before i go further about Yadah, let me introduce you all with two cute favorite character from Korea. 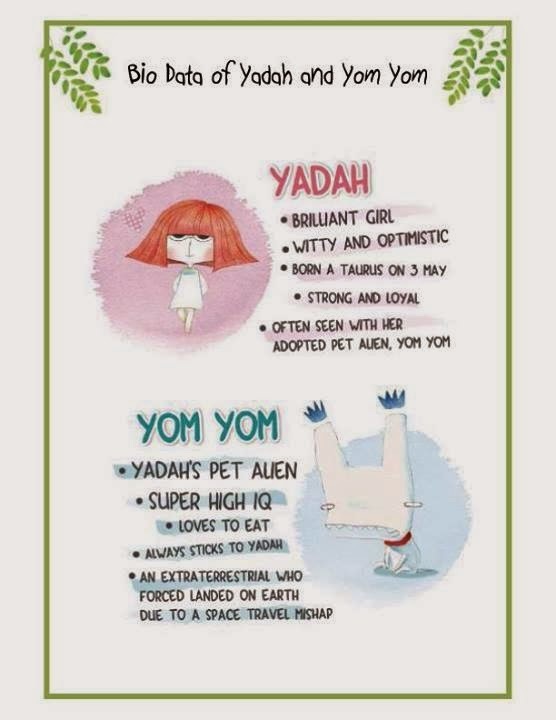 Yadah and her alient pet Yam Yom are popular character from korea. Such adorable character use for the brand. 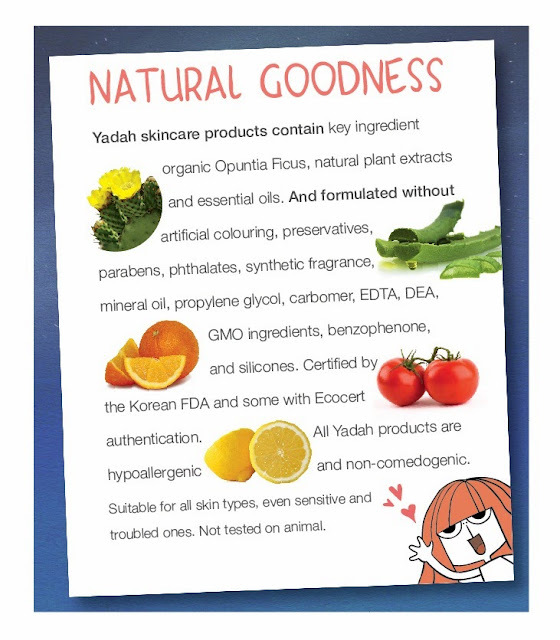 The unique key ingredient found in all Yadah product is the native Ficus extract, a unique cactus species organically grown and cultivates in korea. Opuntia Ficus is know for its strong anti-inflammatory and high potent antioxidant properties which help neutralise free radicals harmful to the skin. Cactus is one of the few rare plants that can survive extreme weather condition from the scorching hot barren sand to the freezing harsh winters in the desert because of it's unique ability to reduce water loss and it is for this very reason that it is able tp prevent water evaporation from the epidermis and act as a natural moisturizer to keep skin soft and hydrated both inside and outside. All Yadah product are certified by the Korean FDA and formulated to be hypoallergenic and non-comedogenic with a mixture of botanical ingredients taht the natural, organic and some with Ecocert authentication. They are suitable for all skin type, even sensitive and trouble ones especially for teenagers and young adults. To protect the environment as well as the young. Yadah will continuously strive to research and develop innovative skincare and beauty product sourced from the world of nature that is of premium quality in term of formulation and design. Christmas is gone and New Year's right around the corner. What's a beauty resolation to do for 2014? Drinking water at least 2 liters of water per day to flushes the toxins out of my body, keep my skin fresh and gives my skin natural glow. Plus it keep me to hydrated! . Wash my face i n the morning and before sleep, Wear moisturizer to keep my skin soft and Skip the foundation, unless if i am really need it. Commit to a skin-care routine. and try a new regimen for at least two weeks before changing product, as this is the amount of time it usually takes for a formula result to show. 3. Do Some Research and check label Before Purchase any product especially from online store. Reading review and ingredients before i purchase any new product. 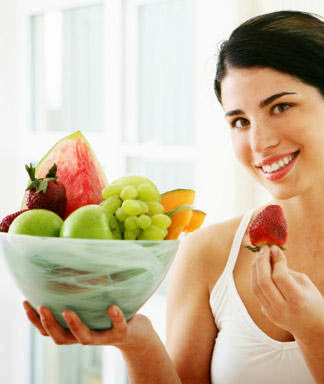 Start eating fresh fruit and vegetables and balanced diet. The vitamins in the fruit and vegetables will keep my energetic and healthy. Try not to eat too much junk food and fast food. our body needs to be charged and the only way for it to charge i s by sleeping. Regular sleeping patterns help our body to effectively regenerate and feel great the next day. Try not go to bed really late at nigh, go to bed when my body getting tired and stay away from caffeine at least 2 hour before bed. Are you excited to know more about Yadah? 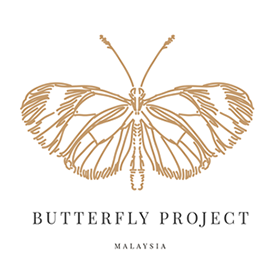 Here is January project by The Butterfly Project collaboration with Yadah Malaysia.